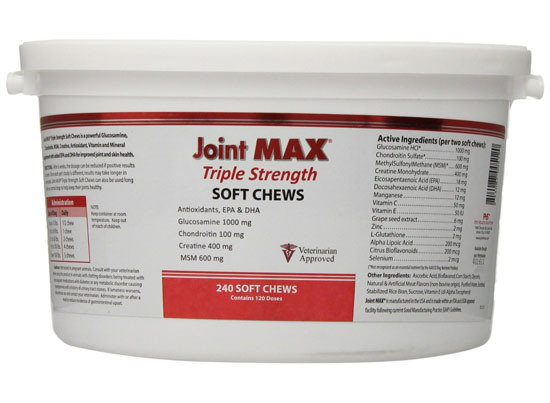 Joint MAX TRIPLE Strength Soft Chews a.k.a Joint MAX TS is a supplement specially formulated for your dog’s joint manufactured by Pet Health Solutions. Older dogs tend to suffer from arthritic joint pain, you can help to ease the pain of your furry friend by giving them this supplement. 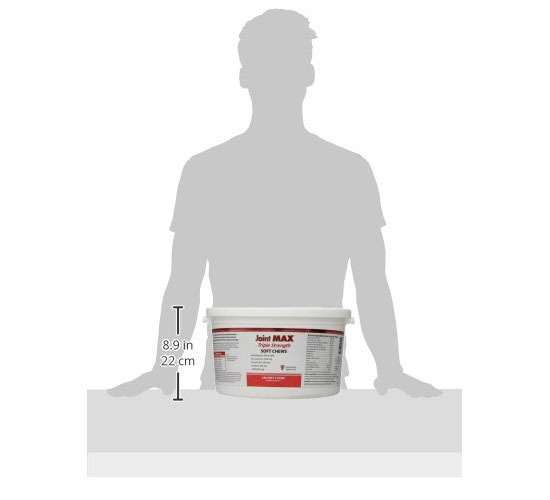 The formula in each soft chew lubricates joints and helps to gradually rebuild cartilage. When you’ve done your research about arthritis, you would know the effectiveness of Glucosamine, not only that, each chew also contains Chondroitin, Zinc, Vitamin C, and many other ingredients that support healthy joint and skin. This product combats stiffness and achiness due to the break down of cartilage between bones, you really don’t want to see your lovely dog suffer due to this condition. This powerful joint supplement has been formulated and intended for older or middle-aged large or smaller dogs that suffer from advanced joint disease. There are some signs and symptoms that you might notice when your dog suffer from severe joint conditions such as: need help to get up, unable to climb stairs, limp at all times, or trouble when squatting to urinate/defecate. When these kinds of signs show up, you need to immediately take your dog to the vet for treatment. Joint MAX delivers a hypoallergenic formula, designed for pets prone to allergic reaction or pets on restricted diets. When you read reviews of this formula, you’ll find many dog owners have found this product very helpful, especially for long term use. However, each pet’s body is different, results are vary and it might take longer in some pets. Where to buy Joint MAX TRIPLE Strength Soft Chews (240 chews)?